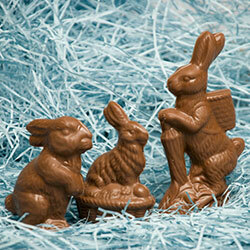 Easter Traditions...Far From the Ordinary! 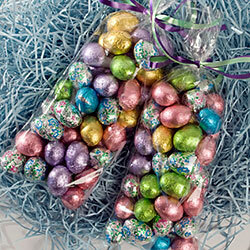 Easter becomes more memorable with these delicious and distinct treats. 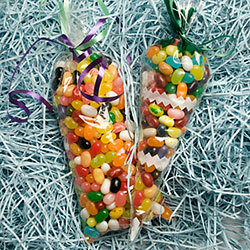 Chocolate bunnies filled with jelly beans add a unique experience to the joy of Easter. 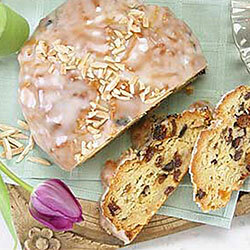 Our Spring Celebration Bread is all about celebrating the arrival of Spring. 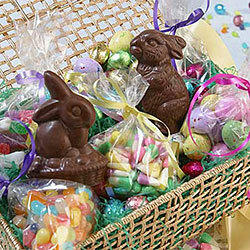 Belgian chocolate solid Easter bunnies in our keepsake Bunny Hutch make for lasting memories. 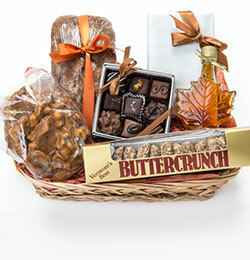 See details below for these and other Easter gifts. 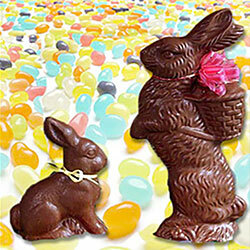 Be mindful that Chocolate Easter bunnies will melt when the shipping destination exceeds 72 degrees. Please select Next Day air service to these locations. 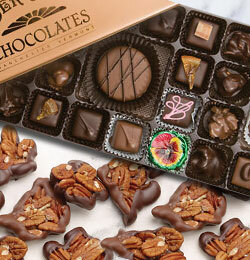 Signatures will be required in order to avoid deliveries left unattended. Mother Myrick's cannot be held responsible if these conditions are not met.